My first cookbook came into my life on the day of my first holy Communion. Walt Disney’s “Mickey Mouse Cookbook” was the perfect present for the kid who was always “helping” in the kitchen. Truly, some of my earliest memories are of me standing on a chair pushed up to the counter, watching my mom make pie crust and emulating her with my own miniature rolling pin and small ball of dough. I fell hard for this cookbook. 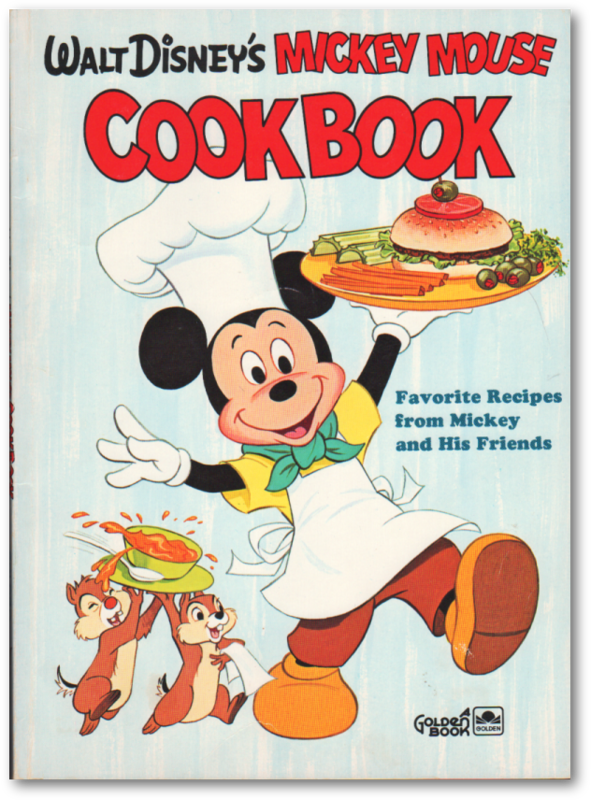 Not that I was the hugest Mickey Mouse fan, but it was a cookbook, it was hardcover, and it was mine. You can still see the dots I penciled next to the ingredients of Mickey Mouse’s Sugar Cookies. Once, my mom came home from work to find me at the stove, making Winnie-the-Pooh’s Baked Custard — incorrectly, with all of the ingredients tossed together in the pot at once. I obviously didn’t read the recipe all the way through before diving in, as Jiminy Cricket clearly advised in the front-of-the-book Kitchen Rules. I’ve weeded my cookbooks many times over the years, but the “Mickey Mouse Cookbook” remains — even though I haven’t cooked out of it since grade school. But thumbing through it today, I suddenly have a hankering for some sugar cookies. À la Mickey, of course.